2. February 2018. 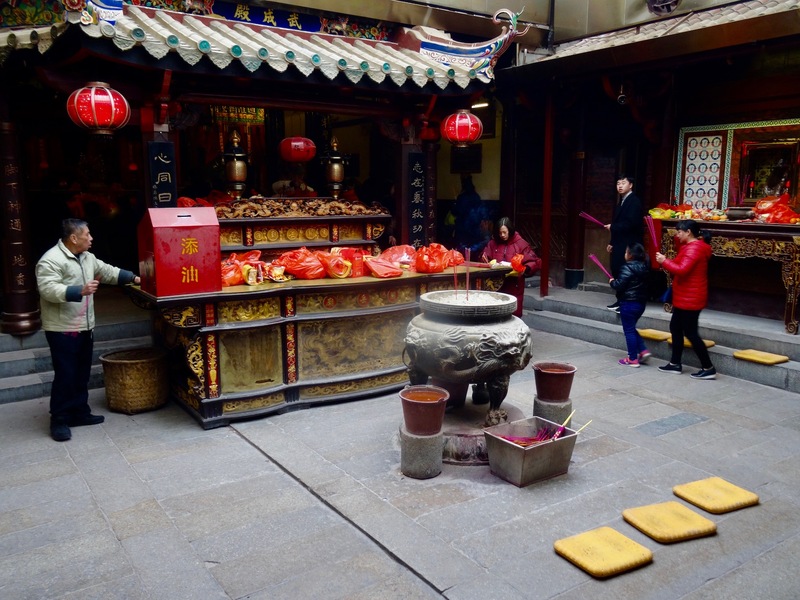 The temple is dedicated to Guan Yu, a Three Kingdoms general deified as The Taoist God of War. Famed throughout China as a pillar of loyalty and righteousness, inside you’ll find statues of the old guy and various wall panels recounting the many tales of his life. I really love the architecture, an odd mix of classical Chinese and 1970s Sheffield steelworks. 3. February 2018. The whole area is awash with chattering merchants and irritating beggars, many of whom aren’t shy in coming up to you to shake their tin cups in your face! 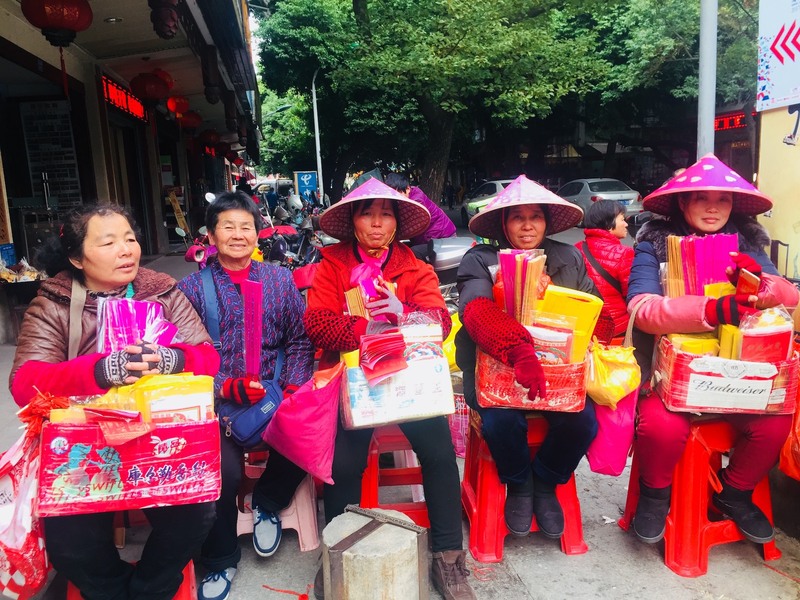 Interestingly, an old guy that was bothering me was shooed away by this group of female vendors. There was also a sleeping woman propped up in a chair that was so old she looked mummified! 4. Guandi Temple, February 2018. The smoky interior is small and modestly decorated but highly atmospheric as worshippers scurry about praying, burning incense and leaving fruit donations. Just take a seat on the wooden benches in the corner and watch it all unfold. 5. February 2018. 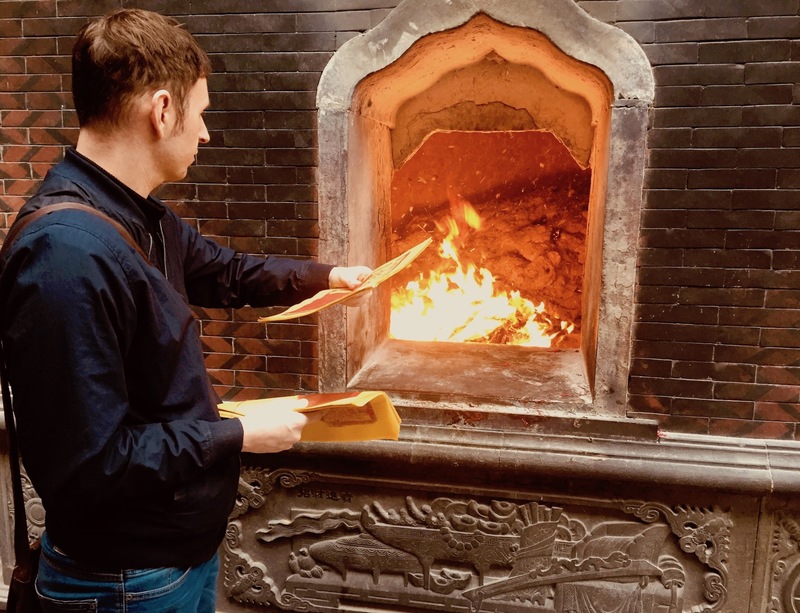 For the truly negligible fee of 3RMB, you can buy yourself a wedge of prayer papers and liberate them in the temple furnace. 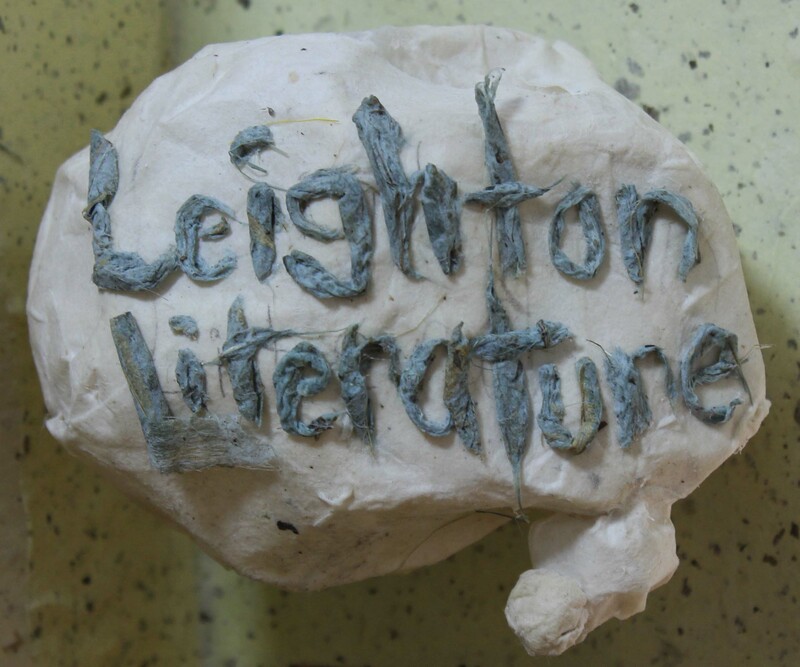 All in the name of good fortune, health, general prosperity etc. 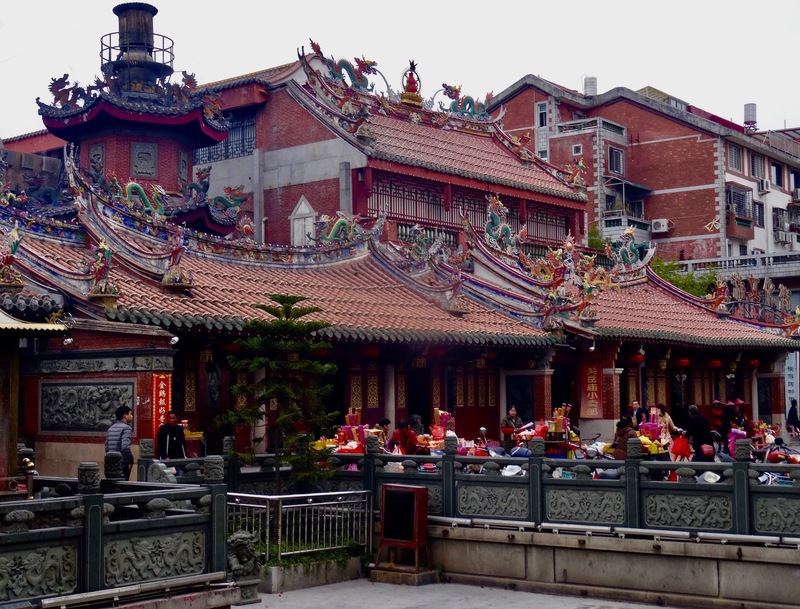 Guandi Temple is free to enter and open daily. Wall of Sound – a short story from The Netherlands. My 5: Qingyuan Mountain – Quanzhou, China.